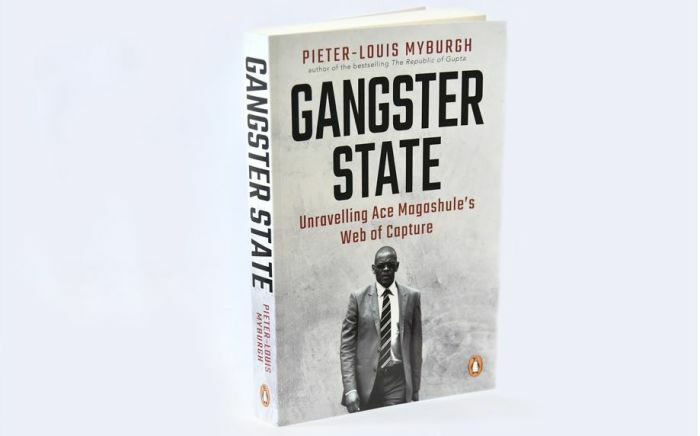 Fearing violence, Exclusive Books and the V&A Waterfront cancelled the Cape Town book launch of Pieter-Louis Myburgh’s “Gangster State: Unravelling Ace Magashule’s Web of Capture”. …they buckled under a little bit of pressure from a very small group who want to disrupt our right to free speech. Cape Talk’s offices just around the corner in Greenpoint, with its restricted capacity, was chosen as an alternative venue. The concerns of Exclusive Books and the V&A Waterfront follow after ANC youths disrupted the Johannesburg book launch on Tuesday. Saps expressed the view that they didn’t think it would be a good idea to go ahead with the event. The Money Show’s Bruce Whitfield interviewed Myburgh. …shining in his absence at the moment is the President of our country and the President of the ANC.